An extraordinary oldschool outfit with all those meticulous retro intrigues. 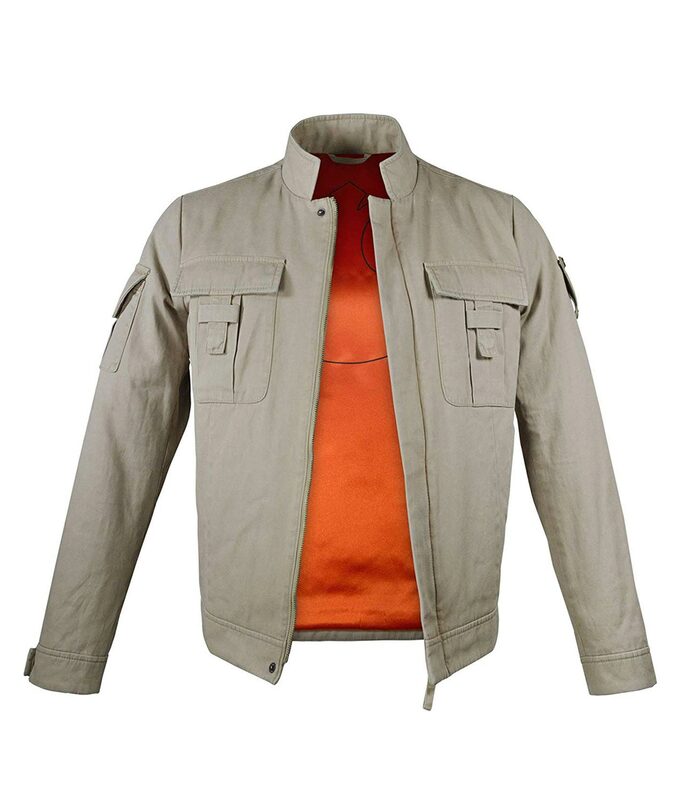 Top quality PU leather built Star Wars Luke Skywalker Bespin Leather jacket is a classic craftsmanship finish endure gripping on the exact genuineness related to the original outfit as seen on the CGI revolutionized 80s, 90s cinematic sci-fi popularized film. Luke Skywalker Bespin Jacket Features include an inner viscose lining, a gloomy off white shade, erect collar rooted over the top, snap-tab aspects for the facade and cuffs and flap pockets to keep your anti-Vader schemes. I hope this jacket and the Force be with you. Cosmically classy and out worldly recognized.